Tooth extraction is the ideal treatment for removing badly damaged or impacted teeth. 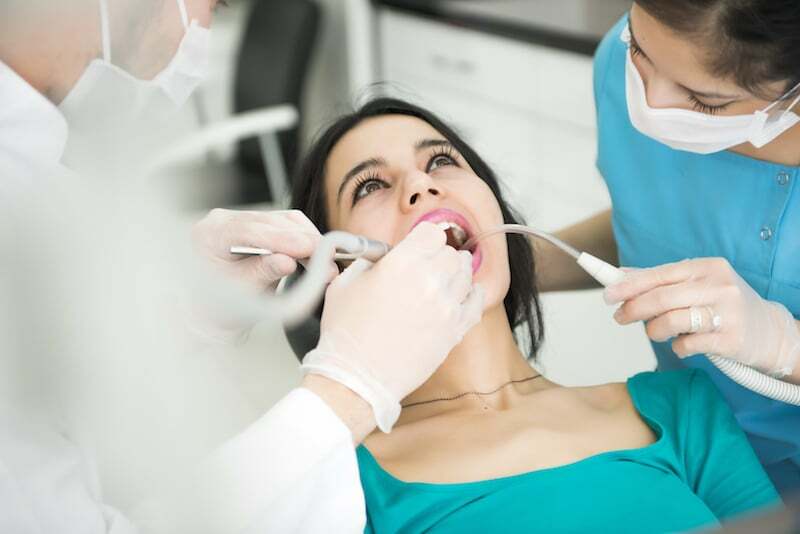 It is a completely safe and fast procedure often used for wisdom teeth, but can also be the best solution for other types of teeth if repair is not possible. Wisdom teeth removal. This is the most common reason, and your dentist will check your wisdom teeth during regular checkups to see if it’s necessary. Dr Danylak will assess your situation and recommend a tooth extraction procedure if it’s the best course of action. If necessary, your next appointment will include an x-ray to collect more information about the tooth to be taken out. This assists Dr Danylak and his expert team to confirm the source of your pain and further diagnose the issue. Before removing the tooth, Dr Danylak will administer a local anaesthetic to numb the area and reduce the pain felt during the treatment. In some situations, such as wisdom teeth procedures, a stronger general anaesthetic may be used instead for more comfort. If required, Dr Danylak will then cut the gum and bone tissue around the impacted tooth. Using a specialised forceps tool, the tooth will then be grasped and loosened from the jaw until it’s free. In more complex cases the tooth may be pulled in several pieces. Once removed, a gauze pad is usually applied to the socket. Stitches are sometimes used to repair the area at the end. Once the treatment is complete, we will equip you with all the information you need for a full and quick recovery. The dentist may also recommend a follow up solution such as dentures or dental implants. Why Have a Tooth Extraction? Badly damaged teeth can cause uncomfortable pain if left without treatment. In many cases teeth can be repaired with veneers or crowns, but if there is too much trauma the only way to stop the aching in your mouth is to extract the tooth completely. If you are noticing any general discomfort such as nausea, vomiting or fevers, you may have an infected tooth. Urgent treatment is crucial for infections to prevent them spreading and creating further pain and problems later. If your wisdom teeth are starting to create a complication in your mouth, they must be removed. Failure to do so will result in further pain as your molars force their way through the gums. Having your wisdom teeth removed is a very common procedure.